2. Select or create an appointment. 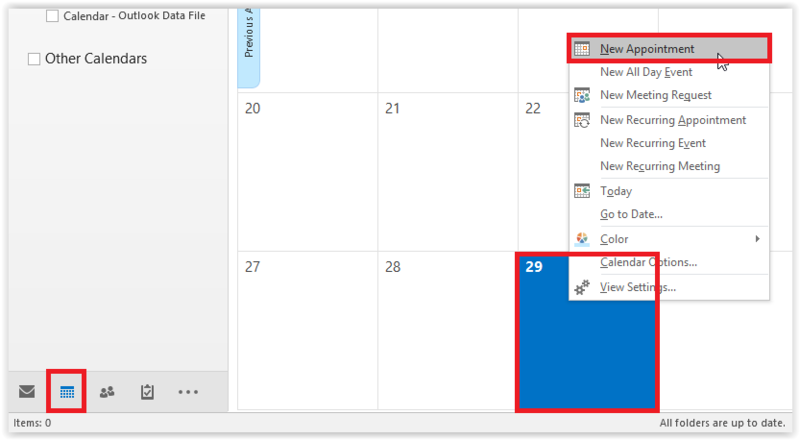 To do this, open the Calendar view at the bottom left corner of the window, right click the appointment day and select New Appointment. 3. At the top menu, select Meeting notes. 4. 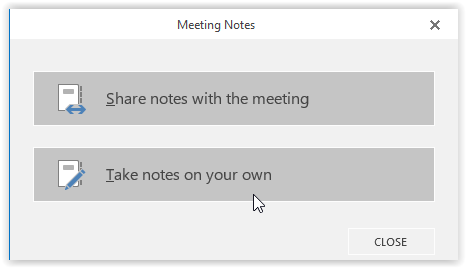 On the next screen, select either Share notes with the meeting or Take notes on your own. 5. 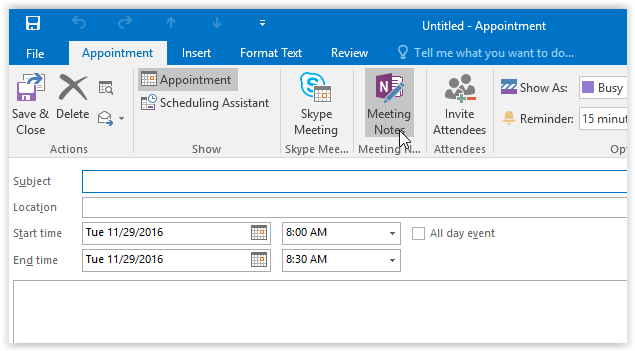 You are now able to take notes on a meeting in OneNote.